WhatsApp has just released a new update for iOS users with added security feature to help protect user's messages. 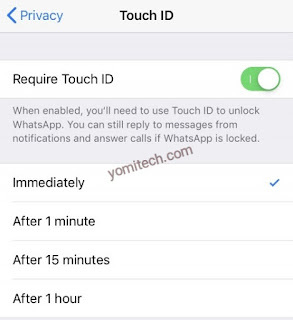 With this new update, iOS users will be able to lock their WhatsApp behind the Face ID or touch ID. 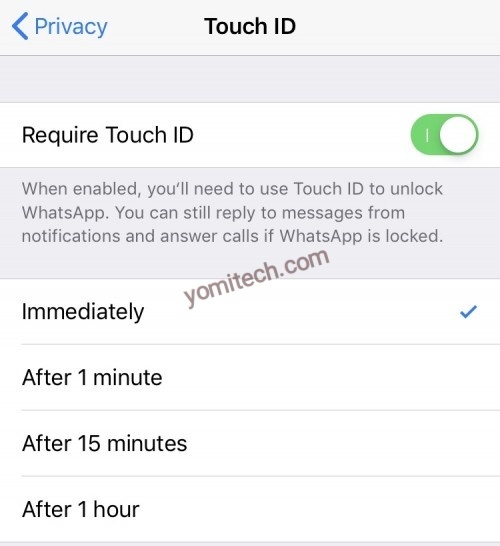 Once enabled, your Touch ID or Face ID will be required everytime you want to access your conversations. Anytime you try to open your WhatsApp, the extra security feature will always be required. To enable it, just head over to "Settings" > "Account" > "Privacy" and enable Screen Lock. Note that even with the Screen Lock enabled, you will still be able to view your WhatsApp notifications if you turned on the preview feature. You will also be able to directly reply to your messages using the iOS quick reply without having to use Face ID or Touch ID when Screen Lock is enabled. The feature has already started rolling out to all users, just head over to the Apple app store and update your WhatsApp to the latest version to enjoy this feature.